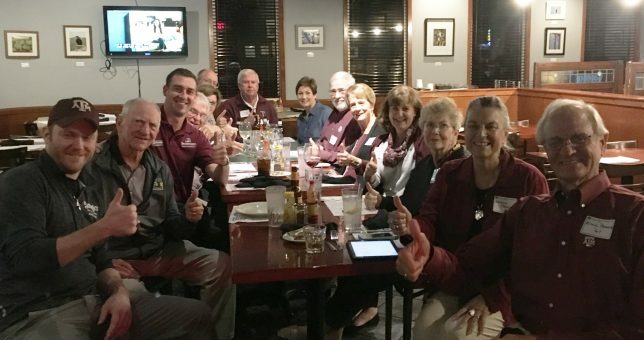 We met up with the Central Mississippi A&M Club on Oct. 24 at their regular game-watching venue, Scrooge’s Restaurant and Pub in Jackson. Scrooge’s likes them so much they offer Aggie specials including discounted Shiner Bock! 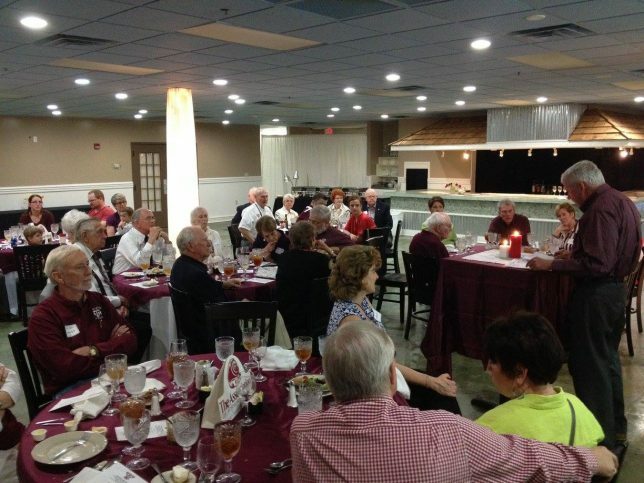 In addition to Muster, the Club holds an annual golf outing. Whoop! 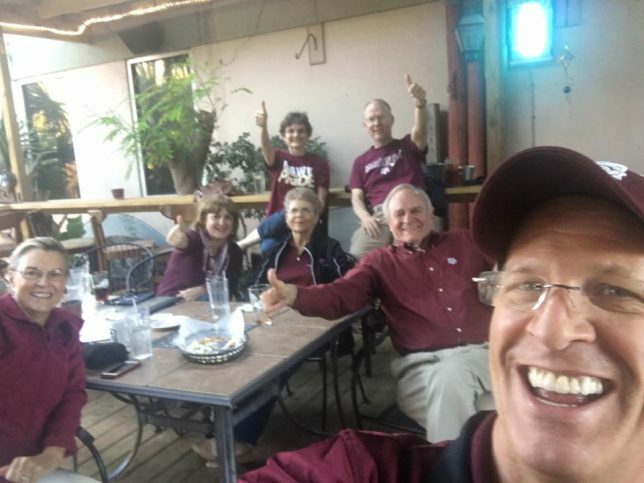 The Ags enjoy the patio at Scrooge’s during a 2016 Aggie game. Muster 2016 with the Central Mississippi A&M Club.